Audition Talent for our 2018 Season. Be prepared to move, dress appropriately (closed toe shoes and fit clothing). Be prepared to improve and show characterization. Actors, Vocalists, Scare Squad, Event Performers. Actors: prepare 1 minute comedic monologue (no dramatic pieces, please). Vocalists: 2 contrasting 16-32 bar cuts. Scare Performers: Be prepared to improvise. 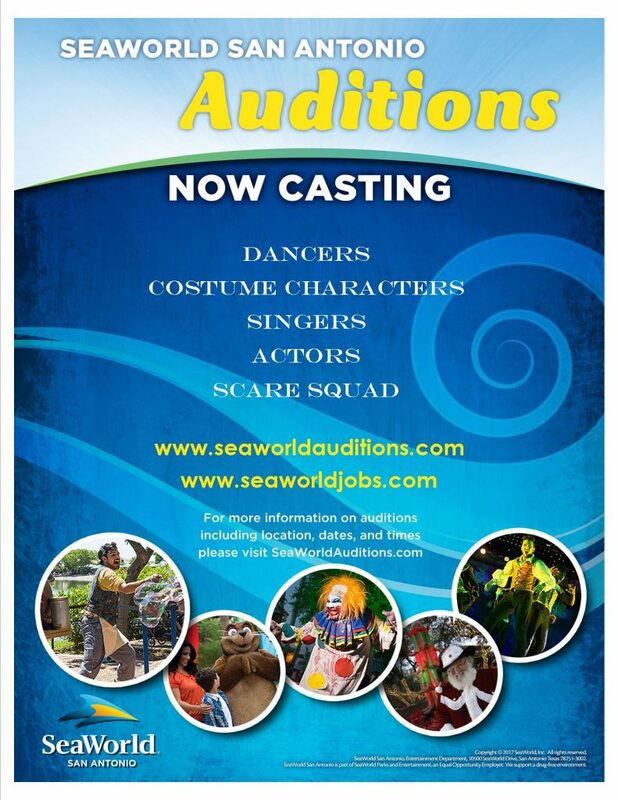 Visit SeaWorldJobs.com to complete an online application for the Performer 1-3 position. Guardians must complete this form for 16 and 17 year old applicants.